Partners have confidence in our know-how. Customers in our products. We trust our skills as a trading company with more than 45 years experience in helping to define the fruit juice market in Europe, North America and beyond that – and at the same time to provide for sustainability on the highest level. How we do this? 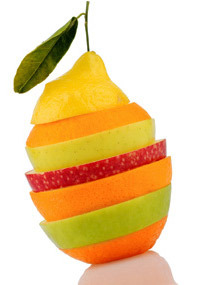 With worldwide engagement, daily quality awareness and of course: With a great portion pleasure on the fruit. The Klaus Böcker GmbH has developed itself after the foundation as a trading company, which procures and trades worldwide fruit juices, fruit purees, concentrates and other fruit products, dynamically in the last years. Beside the continuous extension of the product width through diverse partnerships to worldwide producers, own production facilities were purchased and built up in order to meet the requirements of the different customers regarding diversity, availability and quality. A long lasting experience, paired with pleasure on innovation and a high quality orientation for the product and the handling distinguish us. Producers of raw materials like lemonades, drinks, etc.